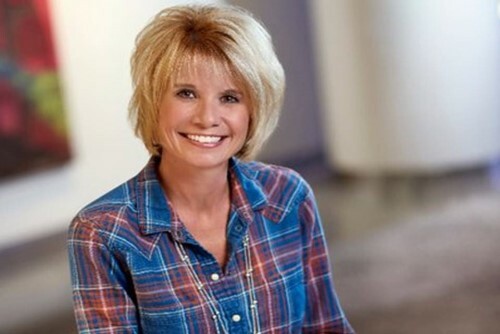 Lisa Sterling is a driving force behind the world-class culture at Ceridian, the HCM software company recognized as one of the world’s best workplaces. Since stepping up as chief people and culture officer, she has been credited with the rise in Ceridian’s employee engagement by more than 20%. In an interview with HR Tech News, Sterling shared her lessons on building a great team. Her strategy is simple, she said: hire the best, get out of their way, and let them do what they do best. “Give them the power to make the right decisions and provide them with the tools and programs to support their people,” she said. For Sterling, it’s about asking better questions, leaning in, and listening with intent. Ceridian’s people chief is known for being present for employees during times of hardship. When Texas and Florida were hit by devastating hurricanes in 2017, Sterling personally called each employee and made sure everyone had a safe place to stay. It’s this level of compassion that sets her brand of leadership apart. Her inspiration, she said, comes from her three daughters. Her role as a C-level executive goes hand in hand with her life as a working mom. The experience makes her “leap out of bed every day to go drive change,” she said. “As my daughters get older, I think about what it would be like for them as a working woman and maybe someday a working mother in the workplace,” said Sterling. In September, Sterling – who can frequently be found on the sidelines of her daughters’ soccer games cheering them on – was named “Working Mother of the Year” by US publication Working Mother Media. Her philosophy of nurturance and empowerment is reflected in the workplace culture she has helped engineer at Ceridian. She encourages other companies to be “provocative” in building their people programs. “Our people are encouraged to take the time to invest in their families outside of work. When people are empowered and supported by leadership, the result is a more productive, committed, and engaged workforce,” she shared.